J.L. 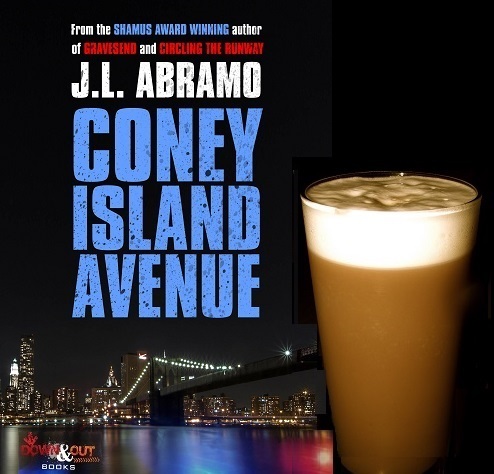 Abramo is here today on Drinks with Reads to tell us about his book, Coney Island Avenue and how to make perfect Brooklyn Egg Creams. Yum! THE DOG DAYS OF AUGUST IN BROOKLYN and the detectives of the 61st Precinct are battling to keep all hell from breaking loose. Lives are taken in the name of greed, retribution, passion and the lust for power—and the only worthy opponent of this senseless malevolence is the uncompromising resolve to rise above it, rather than descend to its depths. 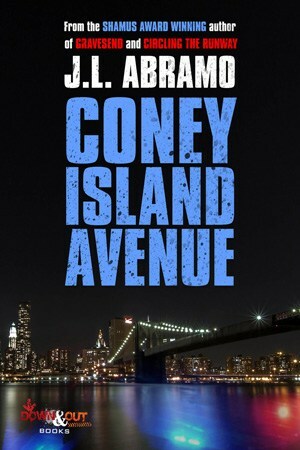 The heart pounding sequel to the acclaimed novel GRAVESEND—from Shamus Award-winner J. L. Abramo—CONEY ISLAND AVENUE continues the dramatic account of the professional and personal struggles that constitute everyday life for the dedicated men and women of the Six-One—and of the saints and sinners who share their streets. Thomas Murphy took possession of a stool at the bar. Augie Sena, from the opposite side of the bar, set a bottle of Samuel Adams Boston Lager within Murphy’s reach a moment later. Angie Salerno gave her brother Vincent all of the cash she had on hand. Vinnie thanked her with a bear hug. Vinnie ran down the two flights of stairs and was about to exit through the front door when he suddenly decided against it. He continued down to the basement instead, opened the metal door at the rear of the house, skipped up the concrete steps and slipped out to the back alley. He headed down the alley toward Avenue U, turned east on the avenue, and hurried over to the elevated train station on McDonald Avenue. He rushed up the stairs and anxiously waited for an F Train. “I hear it every sixty seconds,” Murphy said, slipping a forkful of calamari past his smile. Murphy shook his head and let out a deep sigh. There is one consistent drinker in the novel, Coney Island Avenue—a veteran NYPD detective trying to make it to retirement at the Sixty-First Precinct in Gravesend—however, since Senderowitz’s drink of choice is a whisky imported from Scotland and the only ingredient is Scotch (sometimes a glass if a clean one is handy) I am inclined to present the Egg Cream as the perfect drink to represent the novel. Both Coney Island Avenue and the Egg Cream speak of Brooklyn. The Egg Cream has three simple ingredients—egg and cream not being any of them. A traditional fountain drink—originating in New York and thought to be of Eastern European background—it was a staple soft drink in soda shops and Gravesend homes in my youth—when the “Seltzer” Man came door to door delivering bottles of carbonated water and Fox’s U-Bet chocolate syrup—and whole milk was in every refrigerator. Put a long-handled metal spoon into a tall drinking glass. Fill the glass a little less than 1/4 with ice cold whole milk and add chocolate syrup. Pour plain seltzer SLOWLY into the milk—leaving about 1 inch at the top of the glass. If you have done this correctly, you should already see a creamy foam developing on top of the drink. Use the long-handled metal spoon to stir and quickly blend the chocolate with the milk and seltzer, stirring at the bottom of the glass, doing your best not to disturb the foam at the top of the glass. Stir until the chocolate is well blended into the drink. After stirring, top the drink off with a little more seltzer until the foam rises to the top of the glass, almost overflowing. And there you have it—a chocolate egg cream with a beautiful white cap on top. Don't worry if you don't get it right the first time—it takes a little practice to make it perfectly. A siphon bottle will yield more authentic results. Adding Kahlúa or chocolate liqueur makes for a tasty dessert cocktail. J. L. Abramo was born in the seaside paradise of Brooklyn, New York on Raymond Chandler's fifty-ninth birthday. Abramo is the author of Catching Water in a Net, winner of the St. Martin's Press/Private Eye Writers of America prize for Best First Private Eye Novel; the subsequent Jake Diamond novels Clutching at Straws, Counting to Infinity and Circling the Runway; Chasing Charlie Chan, a prequel to the Jake Diamond series; and the stand-alone thrillers Gravesend, Brooklyn Justice, and Coney Island Avenue. 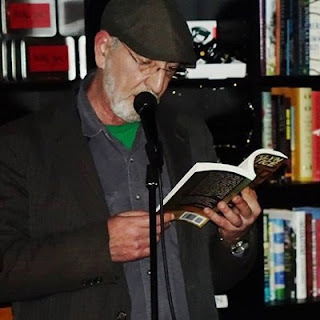 Abramo’s short fiction has appeared in the anthologies Unloaded: Crime Writers Writing Without Guns, Mama Tried: Crime Fiction Inspired by Outlaw Country Music, Coast to Coast: Private Eyes from Sea to Shining Sea and Murder Under the Oaks, winner of the Anthony Award for Best Anthology of 2015. Circling the Runway won the Shamus Award for Best Original Paperback Novel of 2015 presented by the Private Eye Writers of America.